There’s a topic that every self help book seems to talk about, and everyone else seems to be hungry to hear about: the purpose of life. Why are we here? What is the point of life when there is so much pain and suffering, so much misery and death? It’s a philosophical problem that isn’t new at all. Indeed, man has pondered his own existence for hundreds of thousands of years. We like to believe that we’re special, but we’re still following the same pattern that we’ve done all this time, but with a few changes. One, we’re all looking for ways to acquire resources, build communities, and interact with people that are devoted to helping us protect our families. The family unit is an extension of the tribes of old. Instead of going with bigger groups in order to stay safe, we’ve drilled it down to just being a family. This change has had its share of pros and cons, but most people find this beneficial. 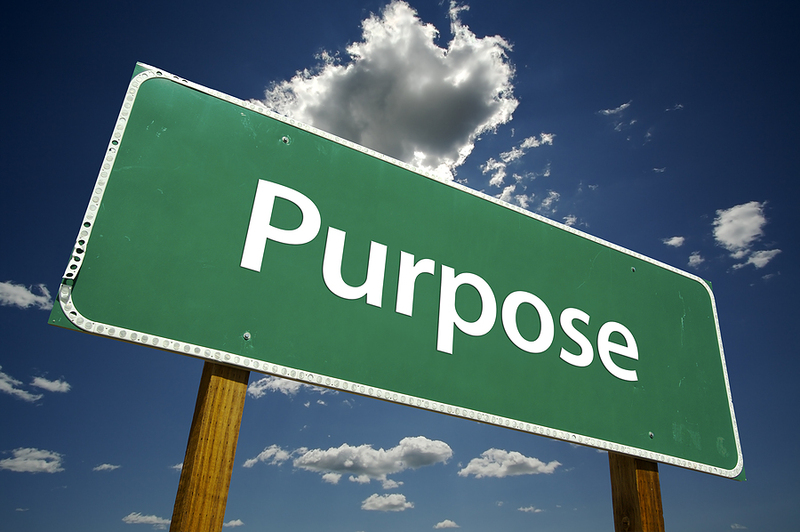 Purpose is defined by the person pondering it. For example, if you’ve spent your whole life trying to become an artist, you might find this worthwhile. But the scientist may not find the path of the artist very appealing, so they go their own way. This isn’t something that should be criticized in the sense that either path is better than the other. But as a society, we tend to reward the scientist and punish the artist, unless they find some way to stand out from all of the other artists trying to make a living. Make sure that when you think of your purpose, you don’t just settle for linking your purpose to money. Many have traveled that path and found it very lacking. Purpose should be a lot more than that, because we’re meant to do more than just pay taxes and die at an early age. If you want to get meaning out of your life, you have to start looking at it from a different perspective. For example, what would you like to do in order to leave your mark on the world? Do you want to build a business that has a deeply humanitarian element to it? Do you want to travel the world teaching English as a second language? There are so many different ways to make a difference that it can be hard to see where you should begin. What happens when you feel like you’re living your life’s purpose, but something does feel a bit empty? It’s time to go back to the drawing board. We suggest daily, weekly or even monthly journaling sessions where you get to review where you’re going, what you’ve been up to, and what setbacks you’ve experienced. There are things that are in your control, and things that aren’t in your control. The challenge is to find what you truly desire, and then take action. That’s right: you’re going to have to take action in order to change something. The trouble that we often run into as a culture is that we don’t encourage really changing anything. We encourage the consumption of information, but that never leads to happiness at all. The truth is that you’re going to need to do a lot of personal inventory on the matter in order to find your purpose. Unfortunately, this isn’t a topic that anyone can give you hard answers on. But if you’re new to philosophy, it can be fun to think about all of the little variables in-between!